OK, this is cool. 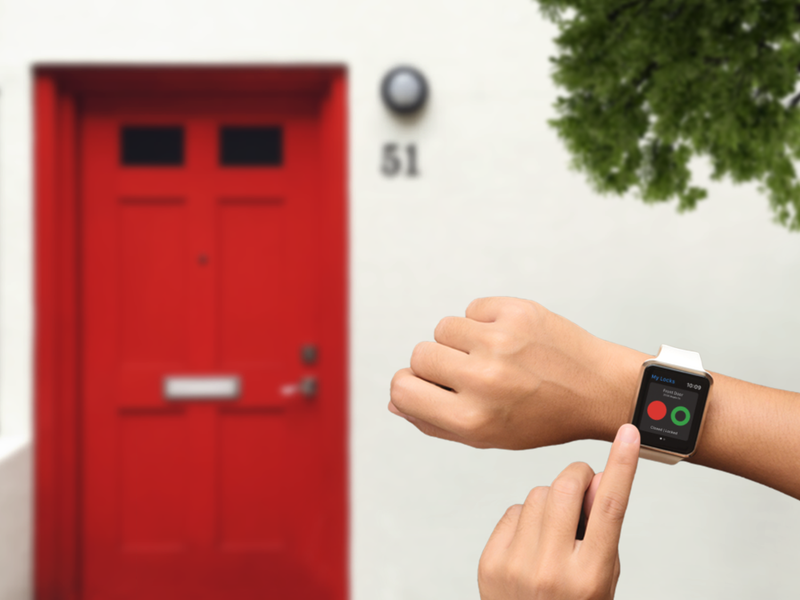 August Smart Lock now has an all-new native Watch app that lets house owners using any generation of the lock and any Apple Watch unlock and lock the door without needing to carry an iPhone. If your house or office is equipped with multiple August Smart Locks, you can control all of the locks from the Watch screen. There's even an August Smart Lock Watch complication that can be added to any Watch face. After that, you should be able to give the app a try and start controlling your locks! The feature is available to anyone who is set up as a "House Owner". Guests can be promoted to Owner status by opening the Guest list in the August app, tapping the Guest you'd like to promote to an Owner, changing that Guest access level to Owner, and then save the changes. Auto-Unlock, where the August Smart Lock unlocks automatically when you're within a certain range of your door, still requires the iPhone since it takes advantage of technologies that aren't built into the Watch. The August Smart Lock is available for $149, while the Smart Lock Pro runs $229. The Connect box, which provides access to the August Smart Lock from anywhere on the Internet, adds $79 to the price tag.